You Call Yourself an Explorer? Lara Croft, Indiana Jones, or even Columbus and Cheng Ho, these are the names that we associate with as some of the greatest explorers in fiction, games, and in history. Do you think you have what it takes to be just.. slightly similar to these names? I think I can very well use these gadgets and prize money, as any adventurers would. 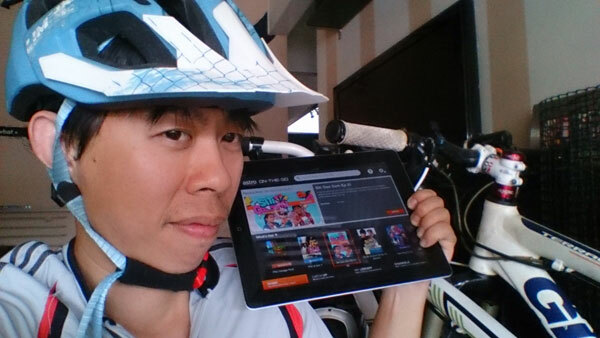 To enter the contest, write a blog post titled “I Am The Unstoppable Explorer”, more information at http://blog.nuffnang.com.my/2013/04/18/astro-on-the-go-are-you-an-unstoppable-explorer/ for exactly what you need to do. It’s pretty simple actually! Haze and I both knows how to enjoy a piece of good beef, but unfortunately good beef are usually only available at very up class restaurants (such as Prime or Mandarin Grill); and speaking from experience, those from the more affordable places often disappoints. 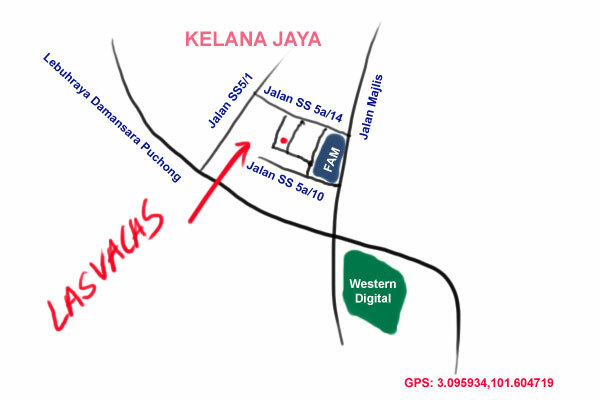 Then there’s Las Vacas, a no-frill restaurant and retail that offers prime cuts of beef and lamb at very decent price. 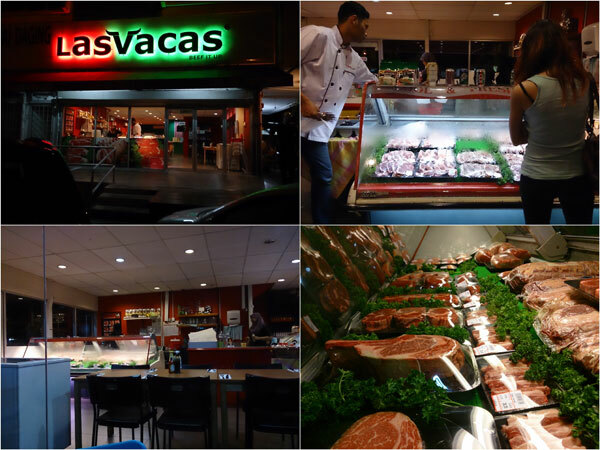 Las Vacas is basically a meat shop with professionally trained butchers and a kitchen. 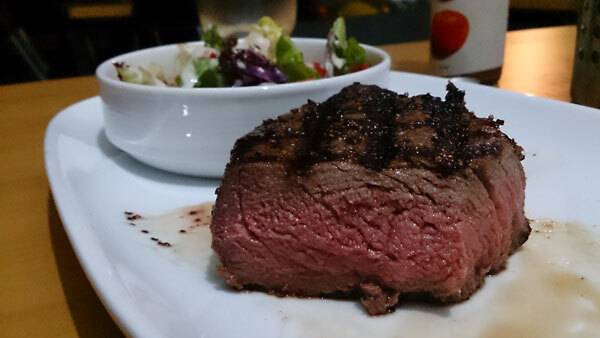 They stock a wide selection of meat and you can either buy raw to grill at home, or dine in. There’s Angus, Wagyu, grain fed, tenderloin, ribeye, sirloin, lamb shoulder, and even salami, sausages, and burger patties. We went there for the first time a few weeks ago, I ordered a medium rare tenderloin, while Haze asked for her Wagyu ribeye to be prepared rare. Prices of meat is indicated at the display per 100 gram, and normal cut is usually 280-300 grams, though you can always choose a bigger/smaller portion according to appetite. 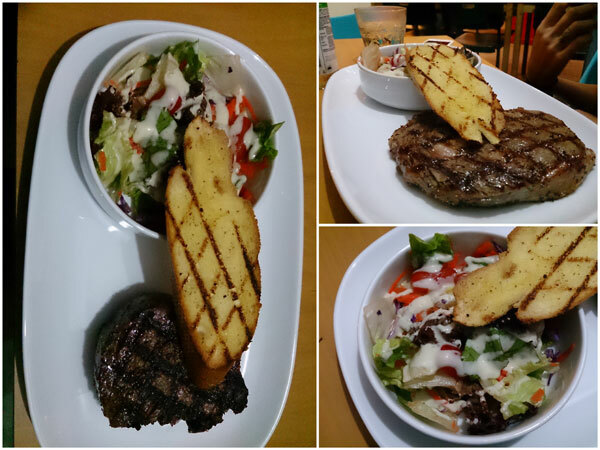 There’s a cooking fee (RM 15 if I remember correctly) on top of the price of the meat, and you get a small serving of salad (quite forgettable) and a piece of pretty decent garlic bread on the side. The meat did take a while to get prepared, and I believe it was because they actually let it sit before serving to ensure they are properly moist. There’s Dijon mustard and A1 steak sauce if you like, but I love my steak as is with nothing but basica salt & pepper seasoning to fully enjoy the unadulterated taste of meat. The result was excellent, and we thoroughly enjoyed our meal. Dinner ended up at around RM 180 including a couple bottles of premium carbonated drinks. Pretty reasonable for what we got, will visit again. 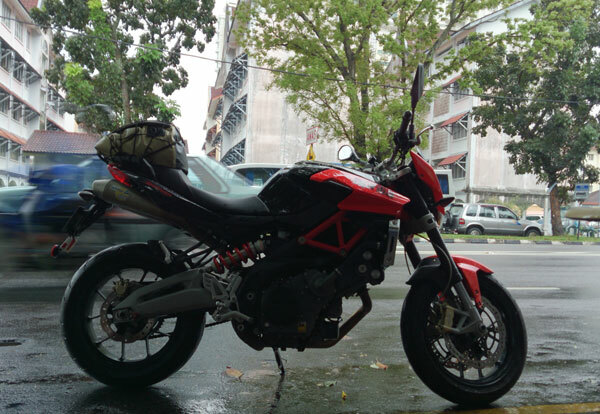 With the cats waking me up before 7am every morning and the fact that I now ride a bike to work, it opens up a lot of opportunity for me to explore various breakfast outlets in the city. 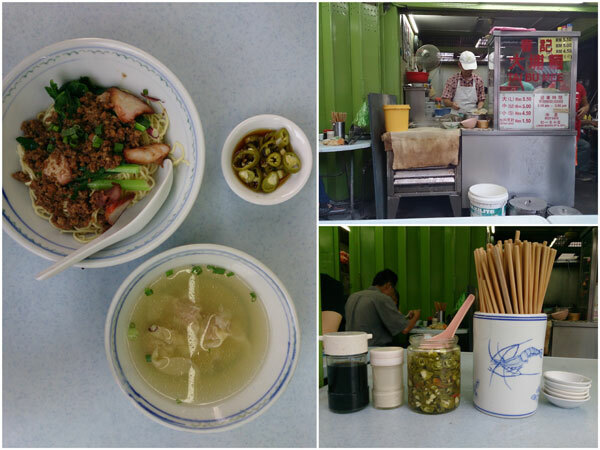 Last week I went to one of the oldest Hakka noodle stalls in town – the “Da Bu Mien” stall at Jalan Sayur, Pudu. Even at the early hours, the 8 decade old stall is already packed with people. Sharing table is a norm, and you can say goodbye to comfortable chairs or air conditioned dining hall. The promise is a bowl of noodle as authentic as it gets, hand made and with ingredients true to the heart of the operator. The stall has a yellow label that says “Da Bu Mien” (大埔面), which state it’s origin from Dabu county, a district of Meizhou, Guangdong Province of China, a center of Hakka culture. 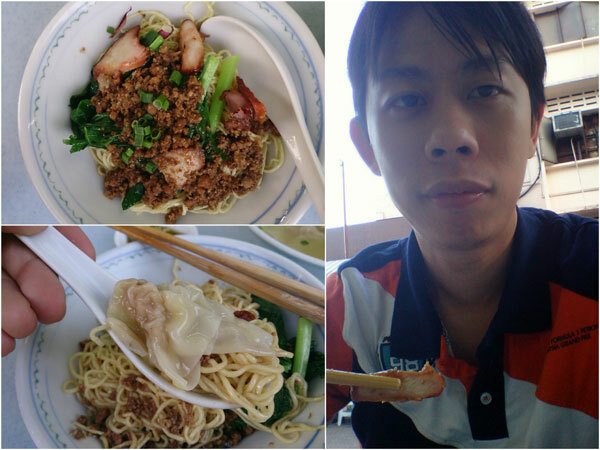 A bowl of noodle is RM 4.50 and comes with minced meat, chasiu, vegetable, and a side of wantan soup. The traditionally made noodle (using bamboo) has a good springy texture to it and is closer to wantan noodle instead of the more common flattened style found in other Hakka noodle places. I find myself enjoying the slightly oiled minced meat quite a bit, in fact, some regulars prefer to have more minced meat instead of chasiu. Over all, it was a rather good bowl of noodle, and a place I certainly will visit again.